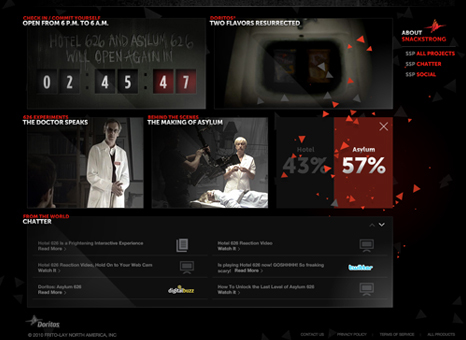 The Doritos flagship site had gotten a bit stale and was overdue for a redesign. 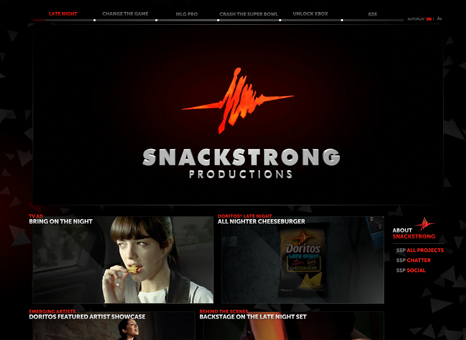 The updated website had to set the new standard for Doritos by unifying all of the brand’s promotional microsites, yet still feel approachable and easy-to-navigate. The new Doritos hub was a living, breathing experience. 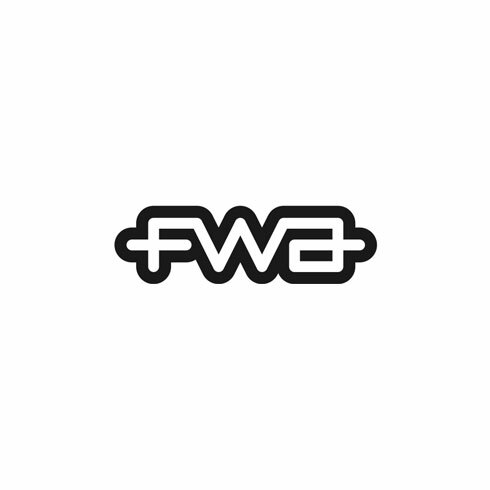 It managed to feel organic while still providing all the content required by such a huge brand. The timeline navigation made sure everything was organized but still gave a peek at the excitement waiting for the user. A cool CG video intro, blended into the Flash animation, introduced the site and whetted appetites for the experience. 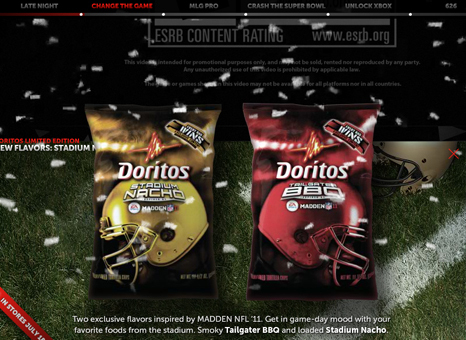 Firstborn built a Content Management System in-house to support the weight of Doritos.com. Thanks to the flexibility of the system, the site was scalable and easy to update.